I thought who better to write a gift guide for cool guys better than the coolest guy I know....The Hubs. So he is taking over the blog today! O.K., here it is, I am the Hubs. When first asked to put together a gift guide for my little socialite, first thing I thought was I have not written a letter to Santa since I was a kid. Well here it is, a grown up version of my Santa letter. After I put together my list, the first question any self respecting fashionably attired wife would ask was "What! No clothes?". 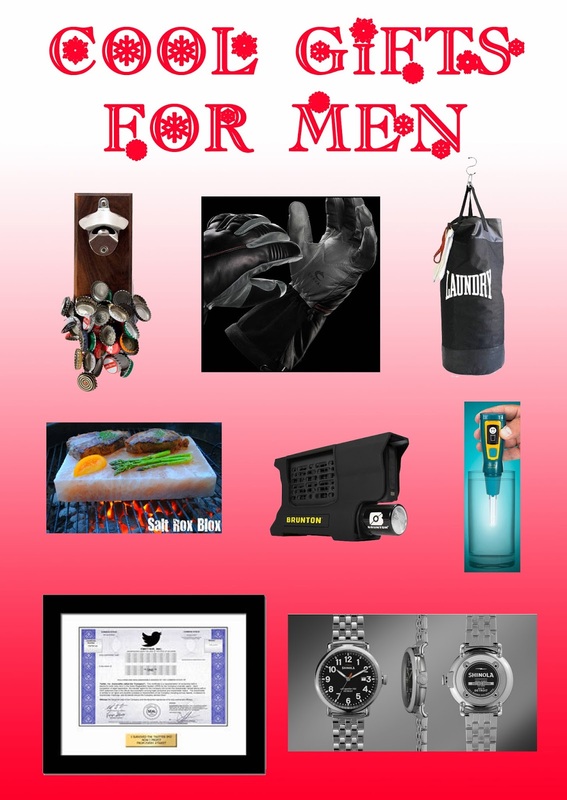 Well this is my list and here are the reasons why I feel these items would make a unique and great holiday gift for any man. Thanks for stopping by and checking out the hubs top picks for dudely cool holday gifts.